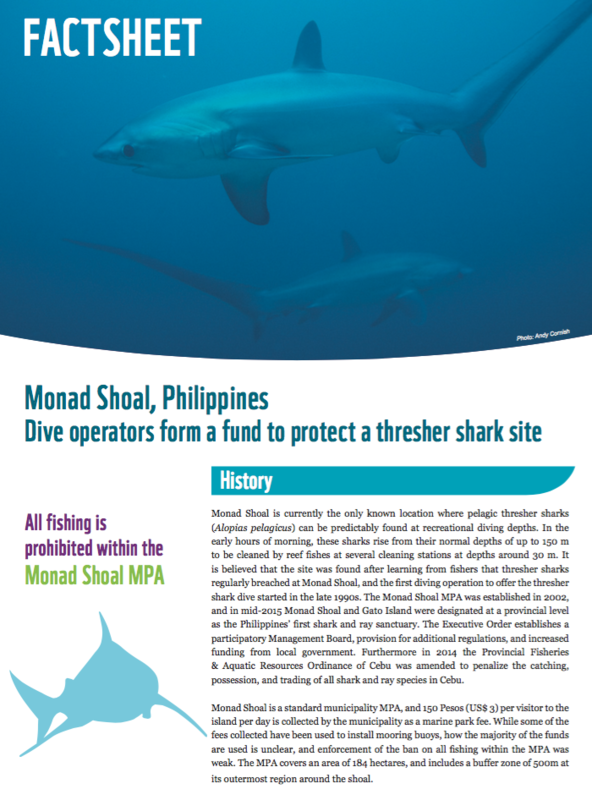 I saw my first thresher shark back in 2013, 30 metres below the surface of the Visayan Sea, as night turned to day above, writes Andy Cornish, WWF Global Shark Leader. 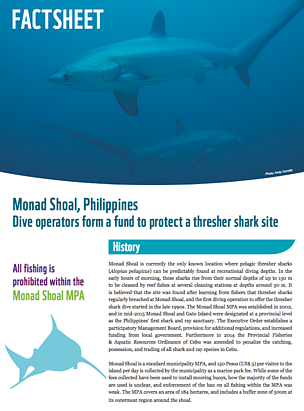 An hour earlier my now wife and I had boarded an outrigger in the dark with other excited divers on the sleepy island of Malapascua in the central Philippines, and headed off under the stars towards Monad Shoal. 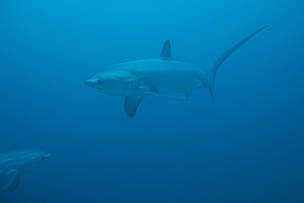 This large, rocky reef is famous as the only site in the world where thresher sharks can been seen daily at recreational diving depths. 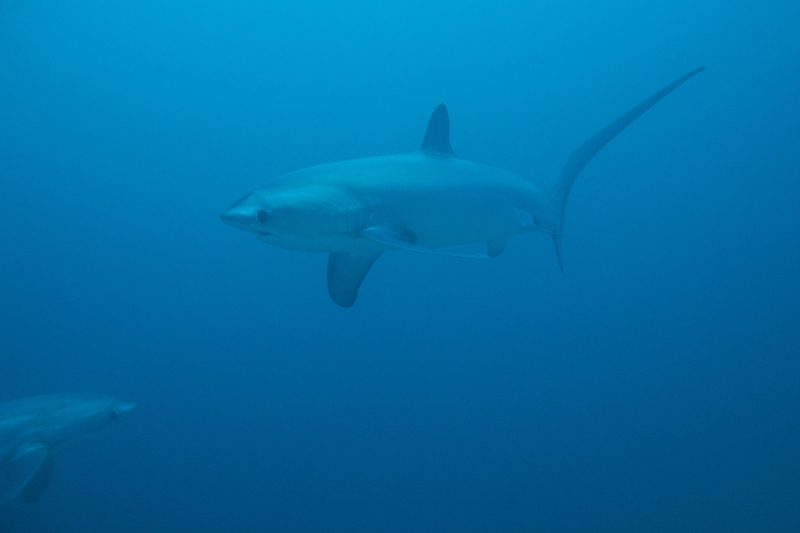 It was an unforgettable moment – made all the more poignant by knowing that thresher sharks have declined by more than 70% in almost every area they are found. And are now in urgent need of protection across the globe. 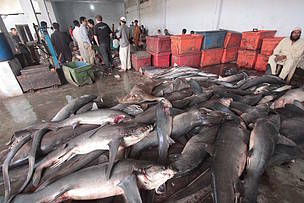 In the next 20 minutes we saw several more threshers, circling sedately to be cleaned, silhouetted above us like aeroplanes, and even passing close over our shoulders, filling the viewfinder as I implored my camera to focus in the low light. My pictures were dreadful, particularly as using flashes is strictly (and rightly) prohibited as it startles the sharks, but we couldn’t have been more ecstatic as we reluctantly headed back to the surface. 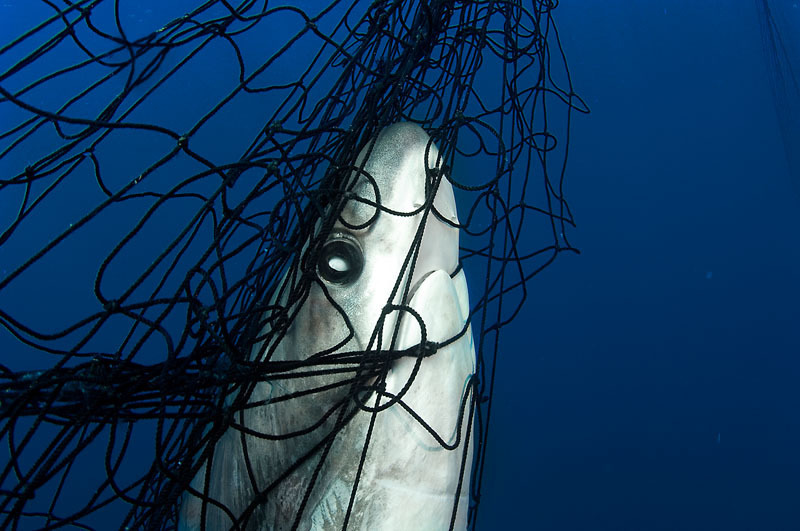 Unsustainable fisheries like this coupled with the lack of conservation measures over most of their range and their very low rates of reproduction – a female bigeye thresher, for example, will have less than twenty pups in its lifetime – have left these animals in real peril. And hopefully, enough countries will side with us at the CITES conference and with these remarkable sharks and rays – so that the next time I see a thresher, I will know that we’ve taken a significant step towards saving the species. 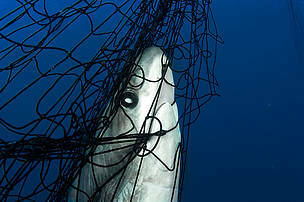 Thresher shark (Alopias vulpinus) caught in gill net, Gulf of California, Mexico.